Coquitlam is a city in the Lower Mainland of British Columbia, Canada. 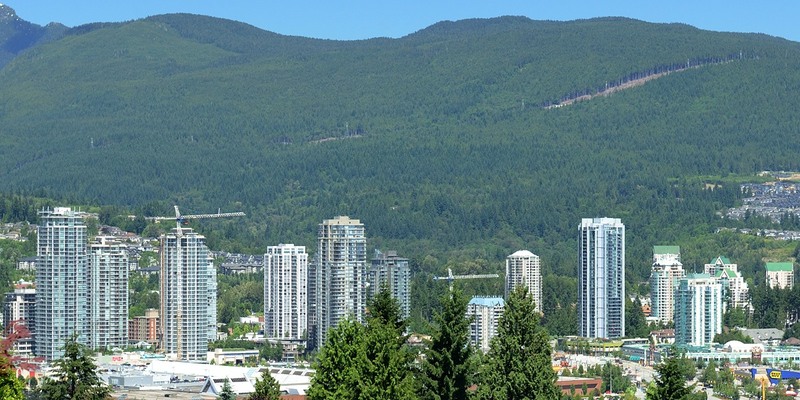 Coquitlam, mainly a suburban city, is the sixth-largest city in the province with a population of 139,284 in 2016. and one of the 21 municipalities comprising Metro Vancouver. The current mayor of Coquitlam is Richard Stewart. Coquitlam is situated some 10 to 15 km (6.2 to 9.3 mi) east of Vancouver, where the Coquitlam River connects with the Fraser River and extends northeast along the Pitt River toward the Coquitlam and Pitt lakes. Coquitlam borders Burnaby and Port Moody to the west, New Westminster to the southwest, and Port Coquitlam to the southeast. Burke Mountain, Eagle Ridge, and 1,583 m (5,194 ft) tall Coquitlam Mountain form the northern boundary of the city. Coquitlam’s area, 152.5 square kilometres (58.9 sq mi), dwarfs the other communities in the Tri-Cities; it is about six times larger than either Port Moody or Port Coquitlam.